Yes, she can be yours! 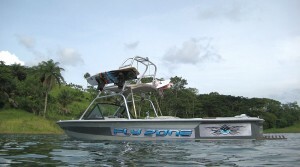 One of the best wakeboard boats ever made. 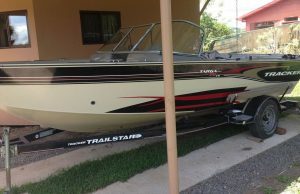 I absolutely love this boat and will get another one just like it if she sells. It’s amazing how many new tricks have been stomped behind this boat already. The wake is phenomenal. 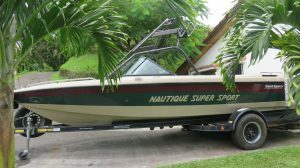 Build quality of Nautique Boats is unmatched. Fun fact: this specific boat was built for the owner/founder of Correct Craft and supposedly is the only one ever built in these colors. – Has heater and hot water shower (not hooked up at the moment). 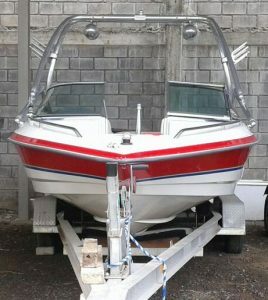 – Boat is in excellent condition. Engine runs great. No tears or cracks in upholstery. – Never been in salt water. Own the best wake in Costa Rica! 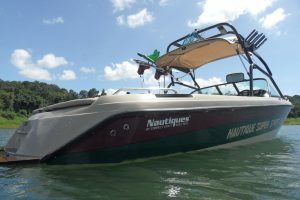 The Nautique 2001-model is the most sought after budget-wakeboard boat because of its phenomenal wake, even without lots of ballast. 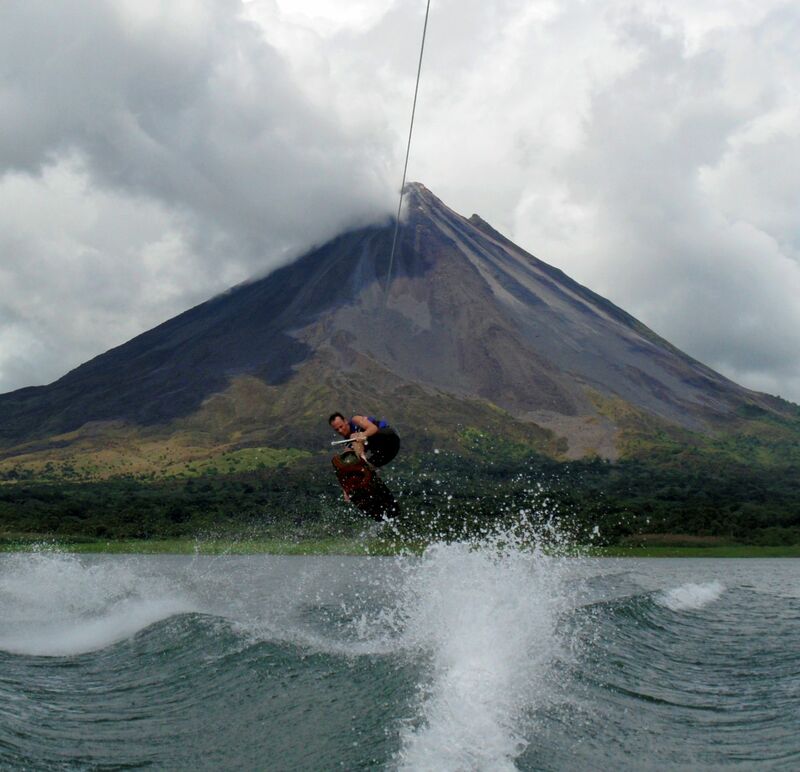 At higher speeds the wake disappears for the most part, making it also a great waterski- and even barefoot ski-boat. 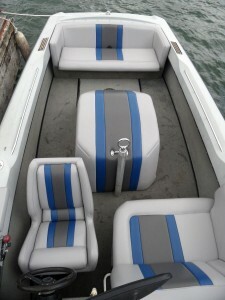 This Nautique was recently re-upholstered and has a new customized Sunbrella cover. Very well maintained and in great shape. Just wetsanded and buffed; hull looks incredible! Oil, oil filter and impeller just replaced. The engine was rebuilt at around 1500 hours and runs super strong. It’s carburated (Holley 4160), no electronics, so very easy to fix if anything goes wrong. Comes with a bunch of spare parts. 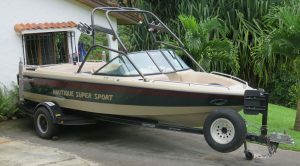 The perfect affordable first wakeboard boat! 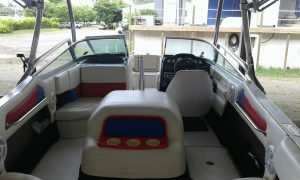 Comes with Bimini top and new boat cover. 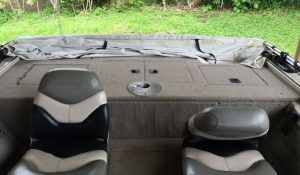 Also has fish finder, live wells, and lots of storage space. In great condition. Well maintained. Comes with board racks and stereo. 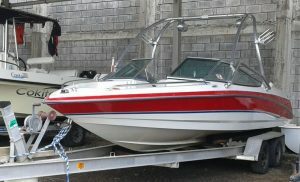 Sleekcraft Executive 23 with New Engine! 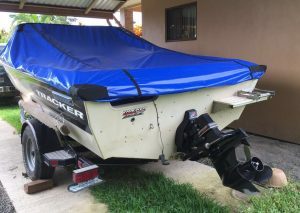 – Inquire for price! 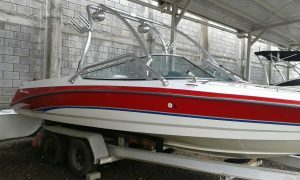 Info: Classic and very rare 23 foot open bow boat from famous American Powerboat builder Sleekcraft for sale. This boat was built for big lakes and ocean. Seats 8 (officially, but space for more). New Mercuiser 350 (5.7L) engine with 260 HP, installed last year. Runs great. 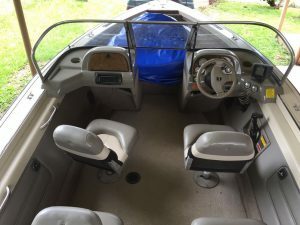 Needs little upholstery work (see pictures). 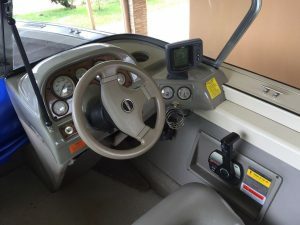 Includes tandem axle trailer (2004), bimini, and cover. Error: Error validating access token: Session has expired on Friday, 23-Nov-18 07:34:26 PST. The current time is Friday, 19-Apr-19 02:20:58 PDT.